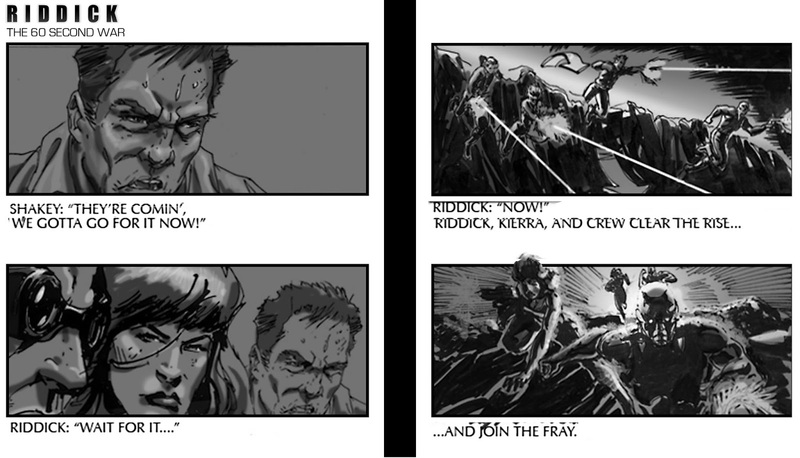 "The 60 Second War" excerpt from The Chronicles of Riddick. 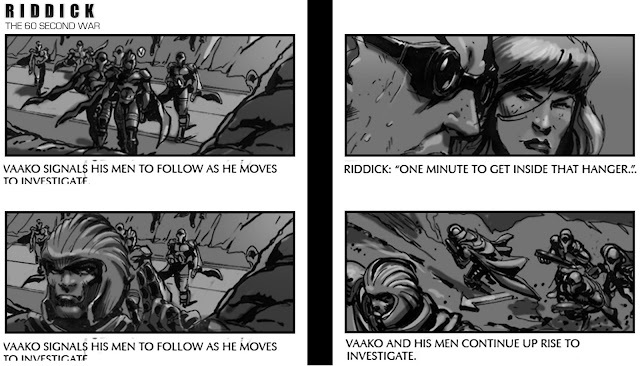 Director David Twohy discusses the value of my boards in this sequence on the "Chronicles" DVD. 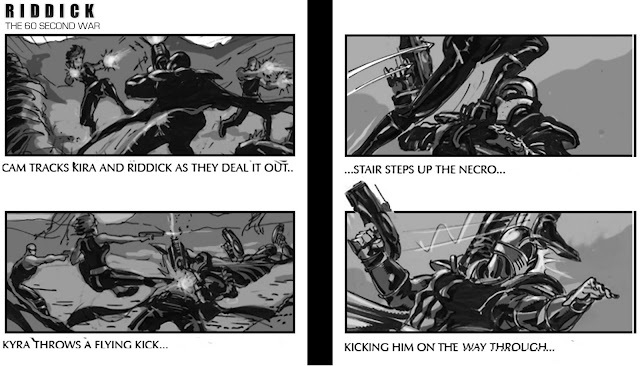 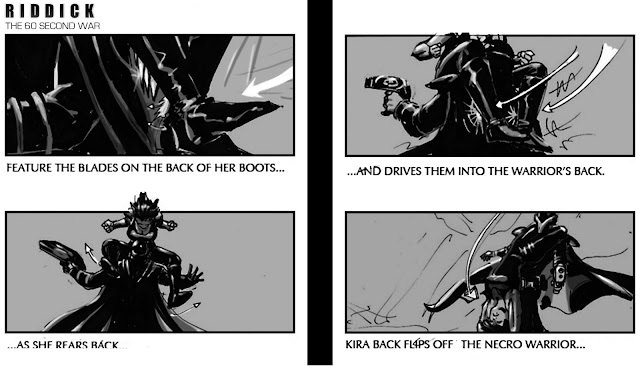 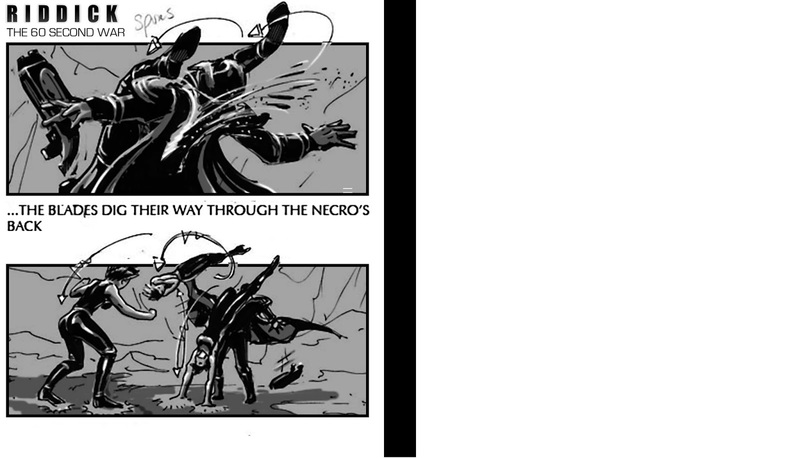 I was both Concept Artist and Lead Storyboard artist on "Chronicles".